^Since 1959 Dr. Catherine Hamlin has lived and worked in Ethiopia. With her husband, Reg, she pioneered surgery for the condition called "fistula"--an injury incurred during obstructed labor, resulting in uncontrollable incontinence. Fistula sufferers are outcasts from society. The techniques the Hamlins developed have allowed tens of thousands to return to normal life. 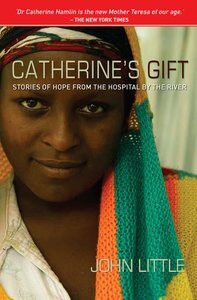 ^"Catherine's Gift" takes us inside Dr. Hamlin's remarkable world, following the fate of some of the women who come to her in the hope of a cure. It shows us the day-to-day experiences of her incredible staff, many of them former patients, and the tireless work of Dr. Hamlin herself. ^Catherine Hamlin is still operating, though now in her late eighties. For women without hope Catherine's gift is, truly, the gift of new life. John Little is one of the world's leading authorities on helping athletes become bigger, stronger, and faster. He lives in Bracebridge, Ontario, Canada.